We all have friends who pertain to suffer with Gluten intolerance but what does that mean and should you be giving up gluten too? 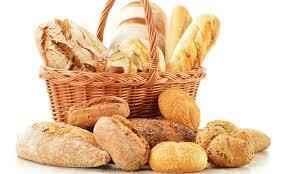 Having gluten intolerance comes with many digestive signs and symptoms that you may recognise and pass off as normal. Being gluten free is not only a very real condition but a trend that is on the rise amongst media savvy restaurateurs, food outlets and the public. Whichever angle you come from giving up or reducing gluten comes with many beneficial health and weight loss benefits. If you are Coeliac then you have an autoimmune response to gliadin the protein found in gluten grains such as wheat, rye and barley. It is an immune disorder that damages the inner lining of the intestinal tract and prevents nutrients form being absorbed. This can lead to conditions such as anemia, osteoporosis, and dermatitis as well other gastro intestinal conditions. Some suffers can tolerate oats and they certainly can diversify a diet as well as the happiness of a coeliac presenting less restrictions on lifestyle and diet options as a result. Some oat-based products may not be gluten free due to contamination rather than chemically holding gliadin in their molecular structure. It is no surprise that the gluten free diet is on the rise when we live in a world that over consumes carbohydrates and whose diets consist of fortified grains. Additionally, modern wheat is very different from the wheat our ancestors ate. The proportion of gluten protein in wheat has increased enormously as a result of hybridization. Until the 19th century, wheat was also usually mixed with other grains, beans and nuts; pure wheat flour has been milled into refined white flour only during the last 200 years. The resulting high-gluten refined grain diet most of us have eaten since infancy was simply not part of the diet of previous generations. Dr Gee first reported Coeliac Disease in 1888 it wasn’t until 1952 when a Dutch paediatrician named Willem Karl Dicke was recognised for making the link between wheat and coeliac disease. So if you are thinking of becoming a Monday to Friday gluten-free friend what are the products that you can have to decrease the damage to the gut lining if indeed gluten does cause symptoms for you? Whether you have an intolerance to gluten or not eliminating and rotating foods in your diet is important so you do not create intolerances. Keeping your diet varied is an important part of your nutritional wellness. ‘You are what we eat’ or as I say ‘You are what you do not excrete’. So keeping a varied diet is essential to good elimination and detoxification. The key is always to ask yourself how food makes you feel. If after eating bread or pasta you start to feel bloated or tired then eliminate gluten from your diet for 6 weeks and then reintroduce it back. If you still feel bloated or tired afterwards then you may want to get some further IgG – gliadin testing done. Just going that extra mile, crammed to bursting with goodness made from seeds, grains and wholemeal flour, contains gluten. No preservative or raising agents. Perfect for a healthy afternoon snack toasted with some Meridian nut better. Not gluten free as such (so not suitable for coeliac) but wheat free. Take the beautifully tasty Russian dark rye bread from the Village Bakery and spread with goats butter from Delamere dairy and as a treat add a thin layer of honey from Steen’s. Rye is naturally wheat free so will prevent that bloating feeling. The gluten free bread that doesn’t mean you can have the whole loaf! Top with avocado and a poached egg for a truly satisfying breakfast. Gluten-Free Diet and Reintroduction of Gluten in Dermatitis Herpetiformis Lionel Fry, MD, MRCP; R. M. H. McMinn, MD, PhD; Jean D. Cowan, BSc; A. V. Hoffbrand, MA, BM, MRCP Arch Dermatol. 1969;100(2):129-135. doi:10.1001/archderm.1969.01610260005001. The prevalence of coeliac disease in the United States. Previous PostPrevious How does CBT work? Next PostNext How can shamanic healing solve your problems?